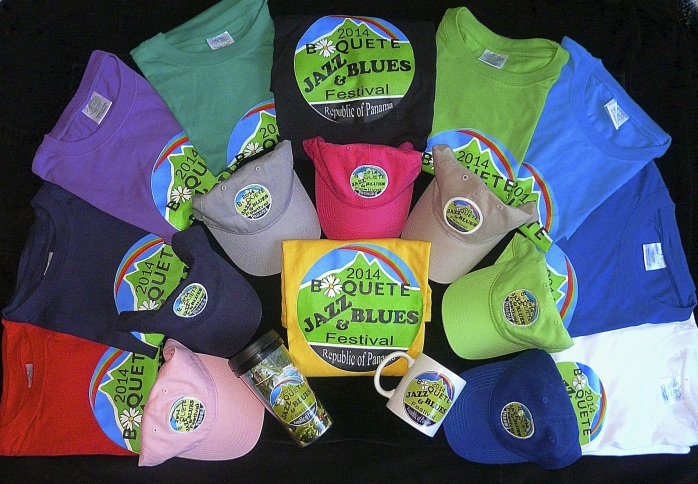 Please check out our beautiful festival merchandise. All the items below are available at the Tuesday market in Boquete, at pre-festival events in the area, and during the festival. 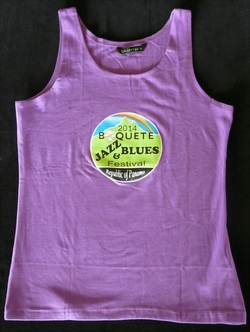 We're not able, however, to ship any merchandise because of high shipping cost out of Panama. Our famous festival tile, 2014 version. 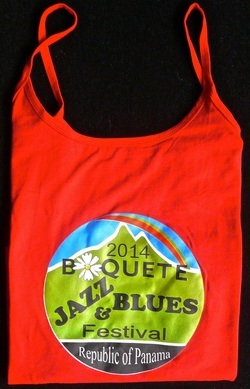 These small, collectible works of art are the most sought-after item at the Boquete Jazz&Blues Festival. 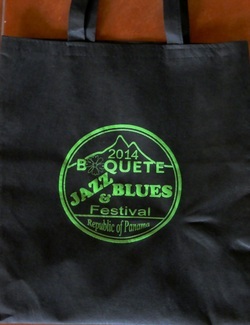 The non-woven shopping bags ($4) come in yellow, red white and black. Boquete is famous for its world class coffee, so take some home with you! 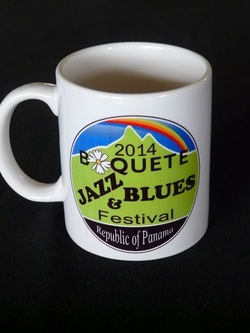 Special BJBF festival blend now available! 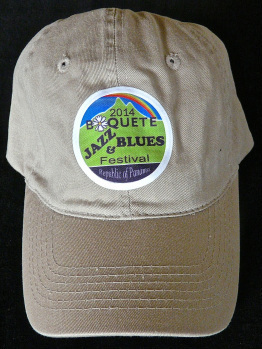 Produced for BJBF by the Panama Joe coffee farm.